The experience of VivaCell-MTS accumulated over a decade can become a guide for those interested both in the business management and in leadership. 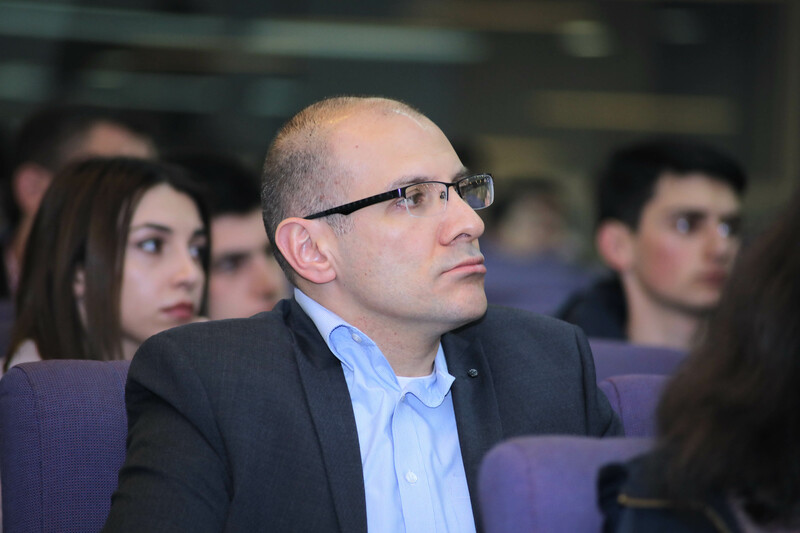 Over the years, during a series of lectures organized for different audiences, VivaCell-MTS General Manager Ralph Yirikian presents civilized ways to succeed, contribute to the development of telecommunications industry and society. 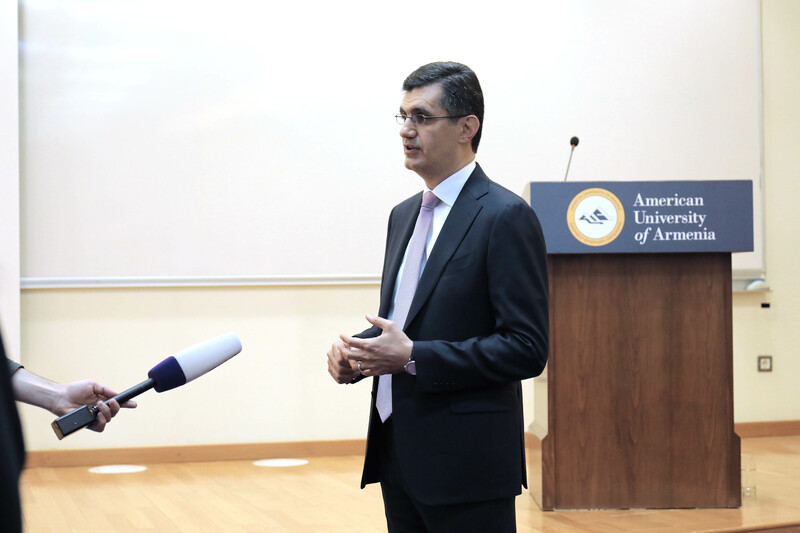 Upon the invitation of the American University of Armenia, in the scope of the “Business Leadership” course, Ralph Yirikian presented the faculty and students of the University with the main principles of leadership with precise examples. Also, he talked about the qualities required for future leaders. During the interactive communication, the students got acquainted with the business management culture of VivaCell-MTS - a company which has reached a competitive position in the telecommunication industry for more than ten years and continues to keep its position in a highly competitive market: “Take a look at our work environment in VivaCell-MTS. Employees feel safer and protected, than any other local organization. Why? Because basic human rights are respected and protected, and employees would never feel that their job would be risked if he or she commits a mistake. Instead, it focuses to help managers lead better, to communicate more with employees, to establish an environment of trust. This is primarily the reason why VivaCell-MTS has ensured to succeed in such a strenuous and constantly changing market. The leadership listens to its team members, and team members feel free to share their ideas, without the fear of being diminished or ridiculed,” Ralph Yirikian said. VivaCell-MTS General Manager presented the major factors of ensuring the long-term development of a Company: "Continuous development of technologies, the need to satisfy constantly changing consumer preferences and needs and serious competition make us constantly review the strategy and apply innovative solutions. Nevertheless, VivaCell-MTS maintains its position as the market leader, not only for considering business just as it is, but also for considering it as a lever in the development of the country and society. The healthy working environment, the courage to set new standards, the will to be guided by moral values, the responsibility committed towards the society and the consistency of achieving the results are the foundation of the long-term development of the Company." 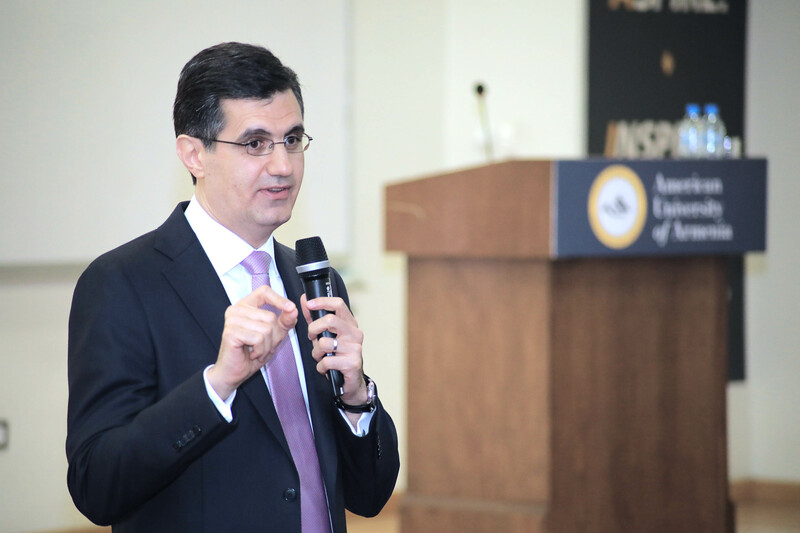 Presenting leadership as a skill, Ralph Yirikian noted, "Leadership is also a skill as many other skills and abilities we are aware of. And every skill implies a continuous process of development. When leaders help employees feel worthy and safe, the natural reaction is trust and cooperation." 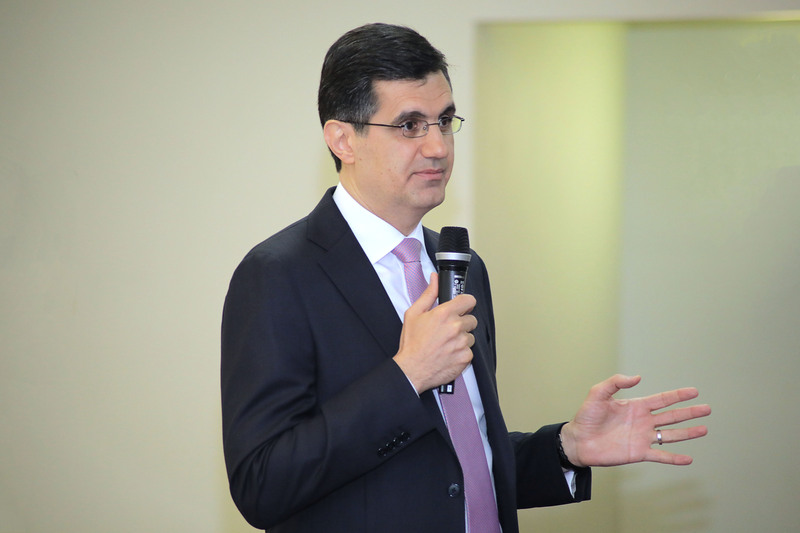 Based on his own experience, VivaCell-MTS General Manager gave pieces of advice to students. According to Yirikian, young people should not think about being a leader, as well as about quick income. "You need to work harder and explore the prerequisite that’s inside you that later will become a skill, and transform itself into a favorite profession. This is the basis for success and why not, the basis for leadership," Ralph Yirikian added. Speaking about the distinctive features of the leaders, VivaCell-MTS General Manager noted: “Good leadership means that the employee will ensure that there is integrity and trust in whatever is done; the employee will have a vested interest in helping the leader meet the organizational goals; the employee will have a clear understanding of the direction the organization is taking; and they will feel valuable and protected, knowing that the leader will always care for them.” Then he added: "I don’t think that for many leaders becoming a leader has been in a spotlight. I am truly convinced that leaders simply do their job by being bold, thinking creatively, refusing to follow the path of others, not being afraid of mistakes, by using their efforts, the power of thoughts and will to make changes." 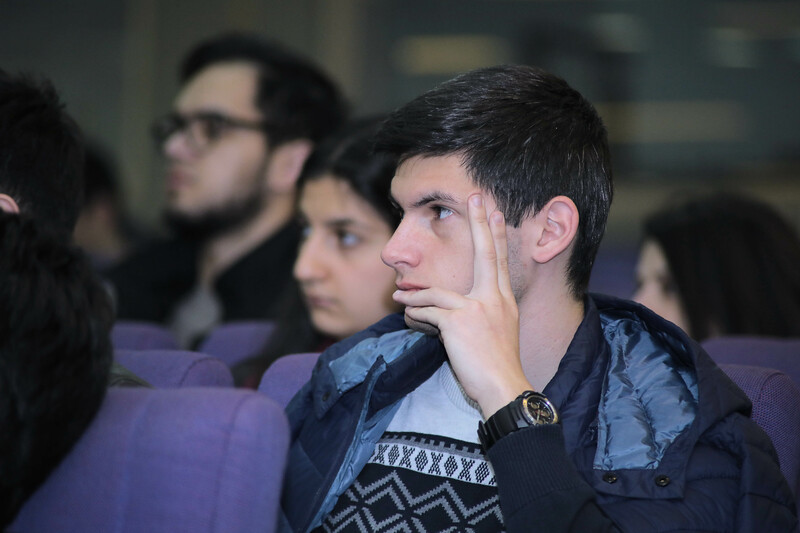 At the end of the lecture, the speaker also touched upon the idea of making mistakes as an important factor in self-development. "Don’t be afraid of making a mistake, and do not focus on it too much after having made the mistake. Simply analyze your steps and make conclusions. The mistakes are avoided by those, who don’t do anything at all." 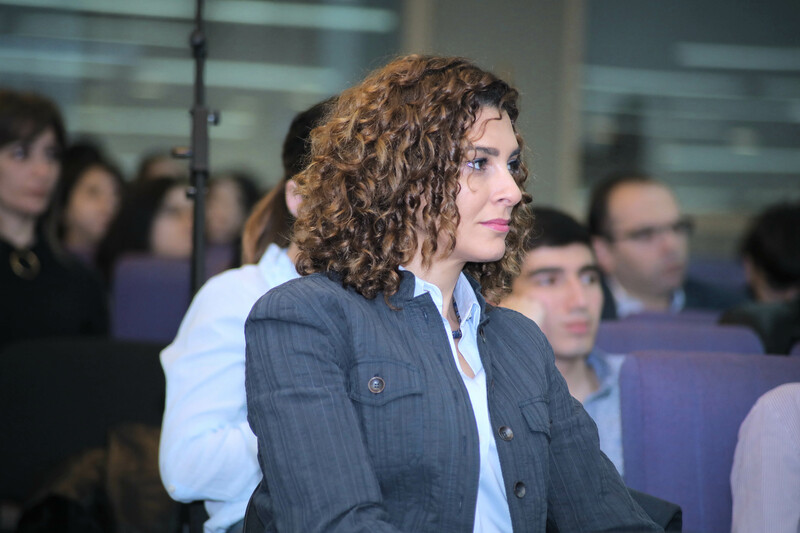 Ralph Yirikian advised future business managers to be a kind of leaders whom people trust and are not afraid of. "Fear among your subordinates is a horrible obstacle to business development and self-development." The next topic discussed during the lecture referred to the concept of a "team". "There can’t be a strong leader without supporters, without a team. Strong leader is just the first one among his or her equals. He or she does not impose his or her "I" upon the people surrounding him. On the contrary, he or she contributes to the healthy development of their "I"s. Strong "We" is the harmonious entity of the strong and not pressured "I"s. It's a hard, but creative process bringing individuals into a team. In my opinion, this should be the subject of study of Armenian specialists involved in leadership issues," Ralph Yirikian concluded. 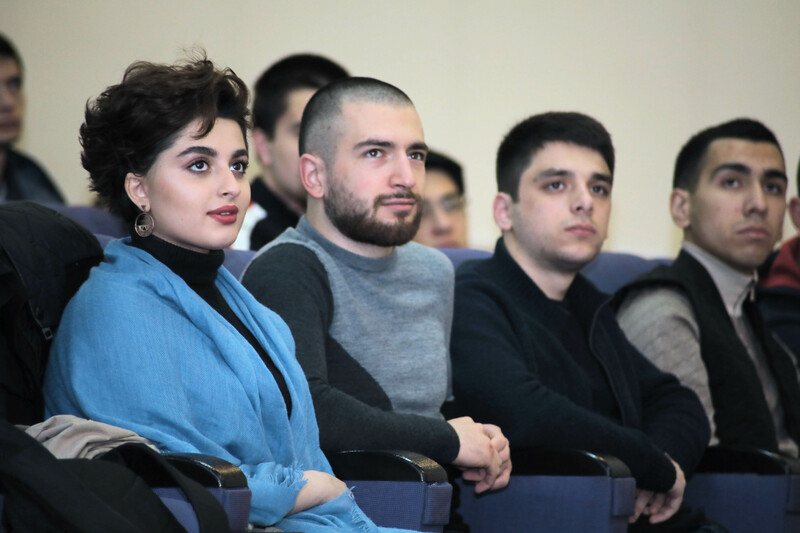 The audience also got acquainted with the important steps of business ethics in VivaCell-MTS, as well as with the Company’s core values.